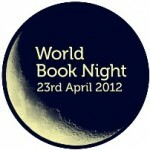 The first World Book Night was held in the UK in the spring of 2011 and saw 20,000 people give away 1 million books. This year, the World Book Night peeps would like to get YOU involved. You can help shape World Book Night 2012 by telling them your ten favourite books – the books you most love to read, give and share – to give them a chance to be featured in next year’s list of books to give away. We’re sure you want to get Twilight on the list so click here and get involved!